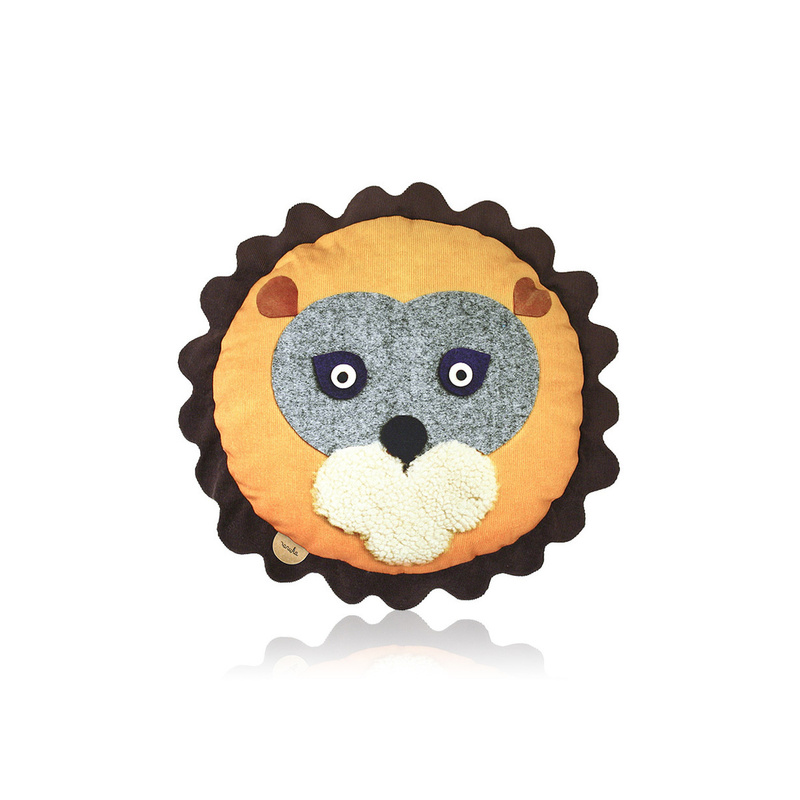 The Naka cushion: the cute lion cushion created by Anuka. Anuka is a real institution when it comes to children accessories, and its creations, fun and original, are perfect to enrich children's bedrooms. Anuka especially pays particular attention to cushions, and one of its most original proposals is definitely Naka. This cushion, colourful and lively, depicts the face of a cute little lion, round in shape but obviously with the irregularity typical of a real lion’s face, mane included, and it features interesting details such as the ears and the soft muzzle. Anuka always pays attention to the choice of materials, not least as its items are primarily destined to children, and safety is Paramount. The Naka cushion is completely lined in cotton while the padding is made in a special hypoallergenic polyester fibre that gives the object great softness and durability. Therefore this cushion can be used by children in many different ways: to sit on, to hug, to play with... Whatever they do, the cushion will not lose its shape and will not pose any risk as it does not contain any hard part. The Naka cushion is perfect to be placed in a child's room but it is not rare for adults to choose it for themselves as this item can bring a touch of liveliness to any environment. As you can imagine an object like this can be a perfect idea for a gift, something either directly for children or for a couple of young parents furnishing a newborn’s room. Born from the passion of three young designers, Anuka is a brand specialized in textiles and accessories that are perfect for children yet loved by adults as well. All products are made in a factory that has been operating in the fashion world since 1961, with high-quality and environmentally-friendly raw materials.